The Mr. & I took the girls out to dinner & then a movie. 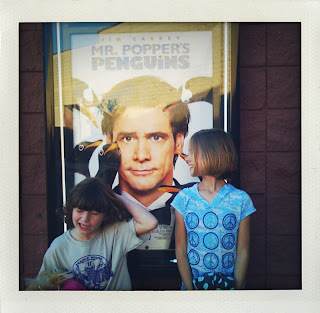 We saw "Mr. Popper's Penguins". Zoey thought it was kind of a sad movie. Pazely liked it & said "there was a sad part & a happy part." I thought it was a good family movie. For some reason the girls just remember the part that made them sad. But don't let their review fool you. It was a funny silly flick! Daddy thought it was "alright" & was happy the girls had a good time. We're headed home now with sleepy girls in the backseat. I have enjoyed your summer diary posts!! They remind me of when I had little girls at home. 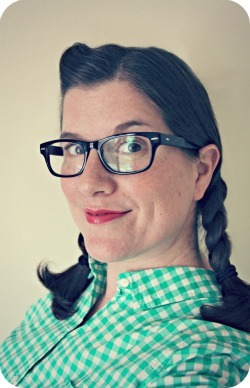 I linked to your "2011 Summer Diary" in my blog post today. You gave me some much needed inspiration.